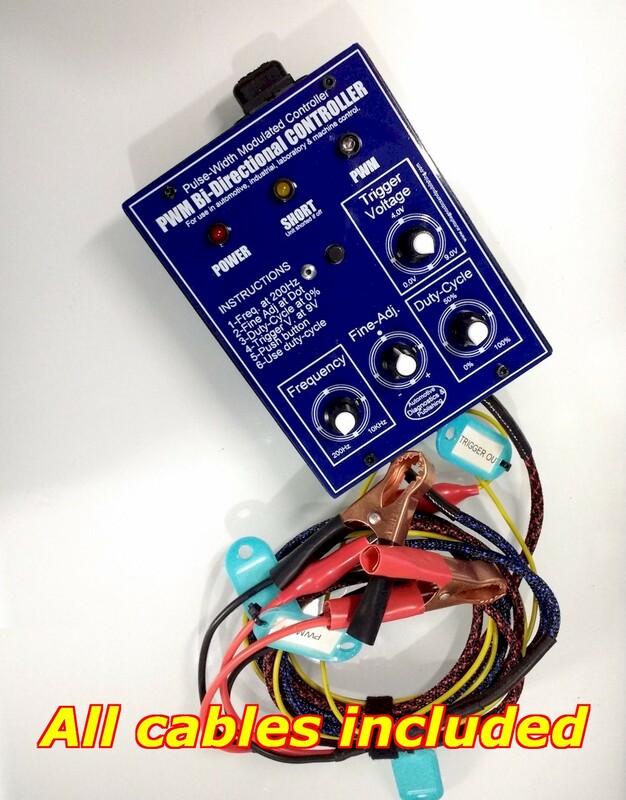 The Automotive PWM Bi-Directional Controller and DRIVER is a complete auto-repair and diagnostic tool meant to power high current loads (up to 60 Amps) and also trigger low voltage controller modules. You have complete control over the output signal. Control all: amplitude, frequency and duty-cycle. 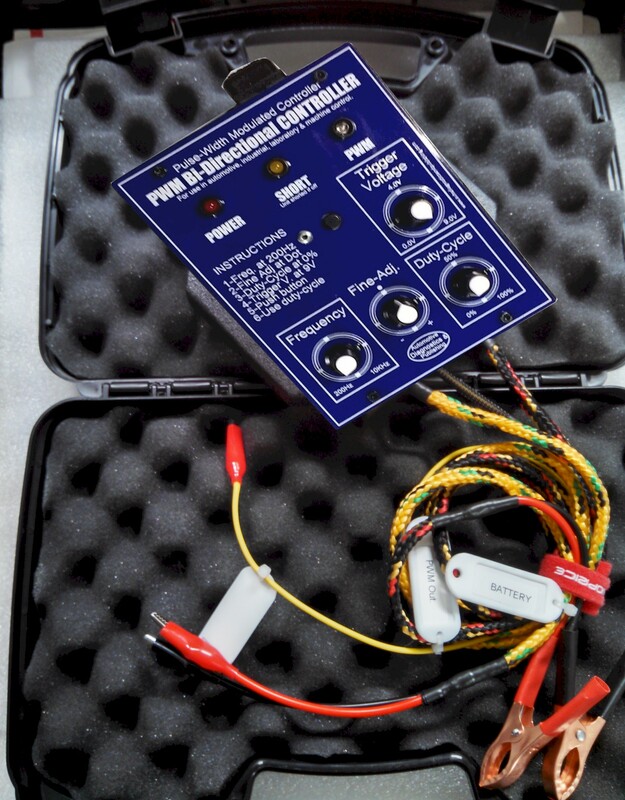 Not all devices use the same PWM frequency. 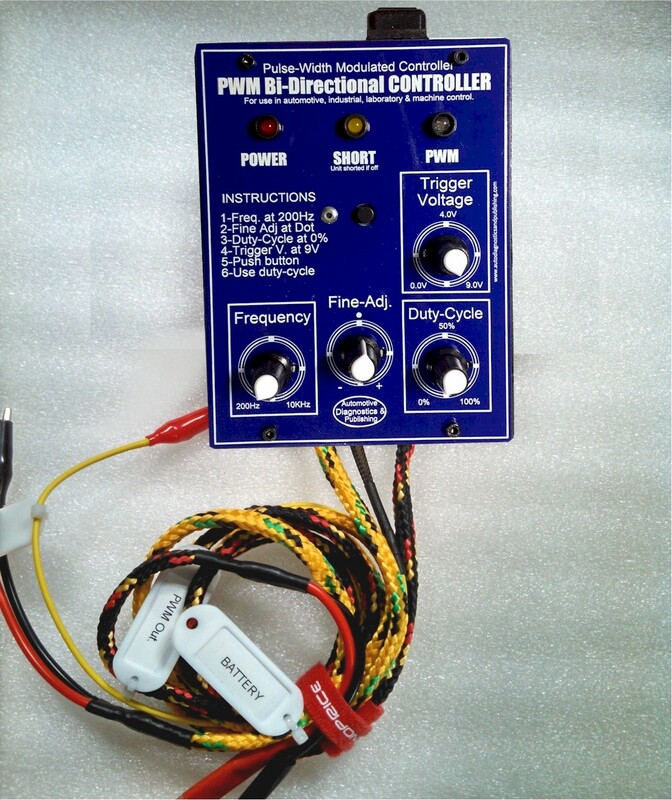 That makes this market's only PWM Bi-Directional Controller fit for controlling all electrical components available today. Read more to see how it works. Save lots and get a package deal. 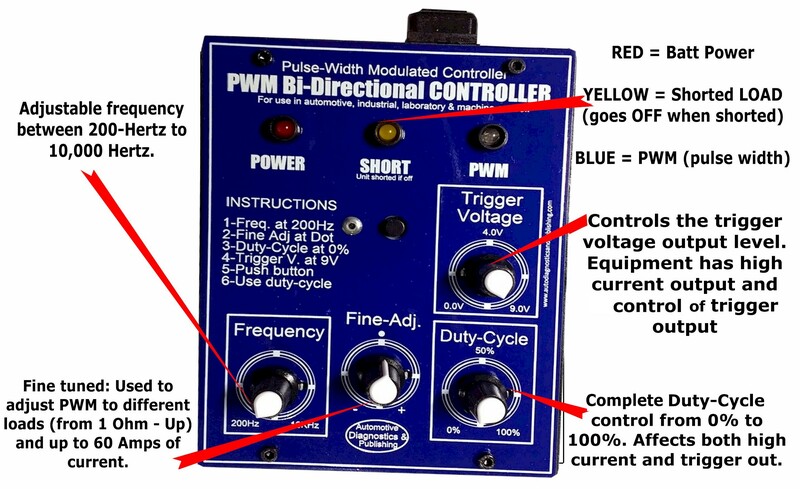 What is the PWM Bi-Directional Controller? 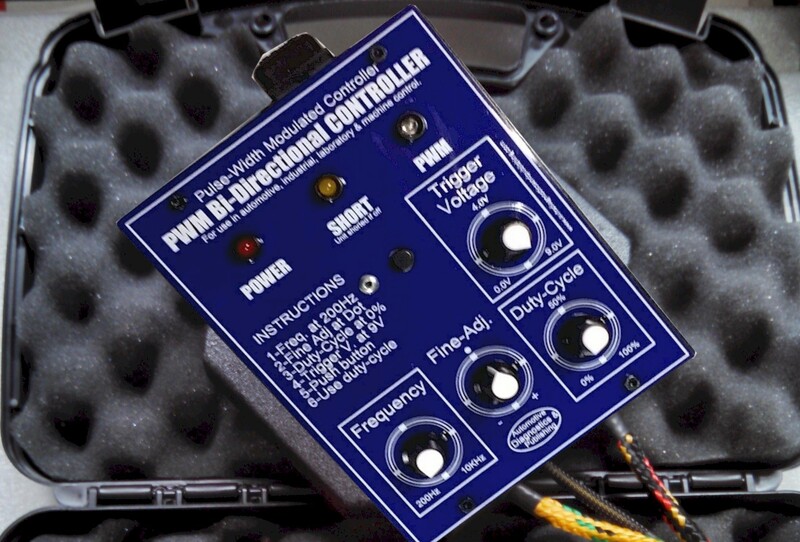 Want FULL BI-DIRECTIONAL CONTROL? 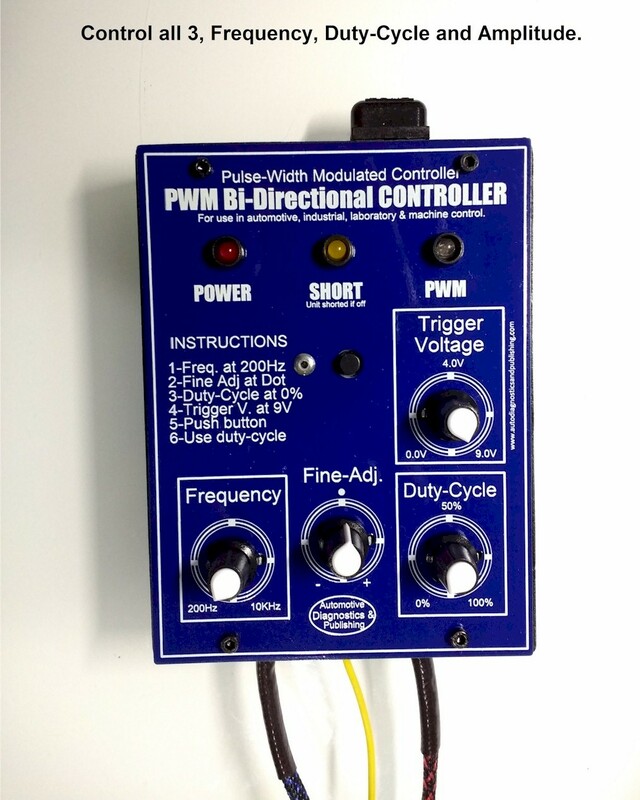 The PWM Bi-Directional Controller is the answer. No other automotive repair and diagnostics gadget gives you more.